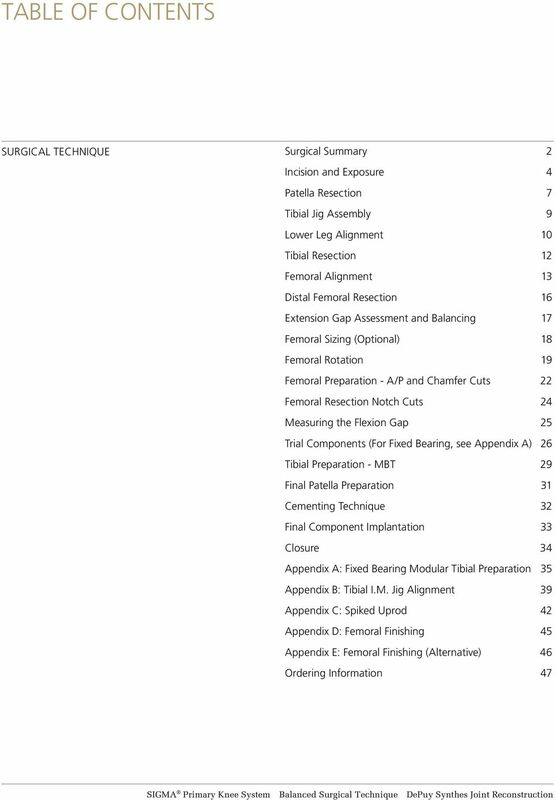 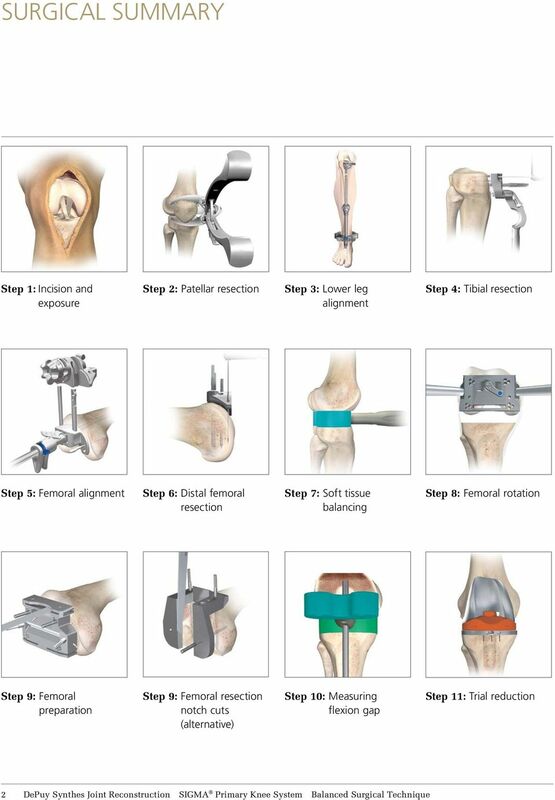 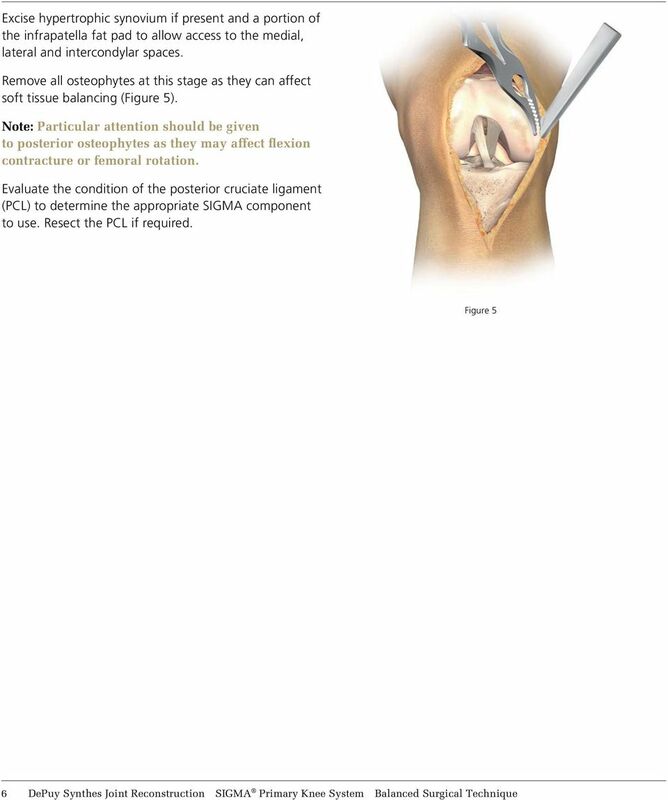 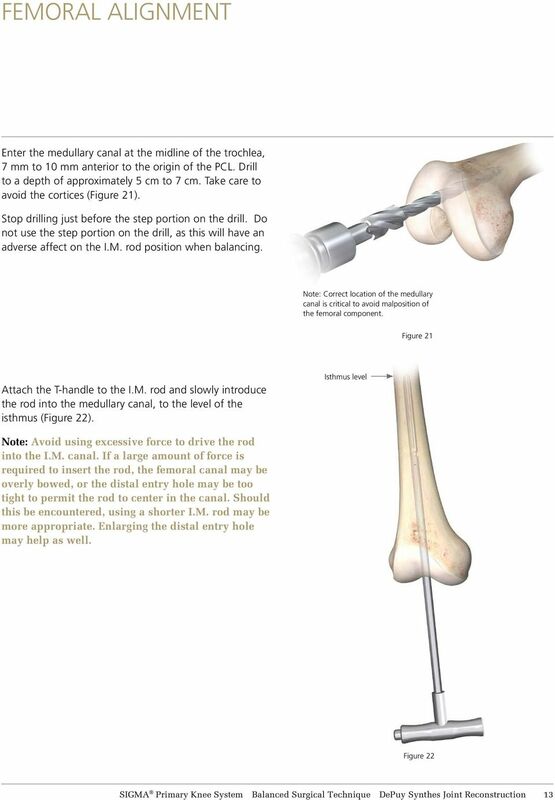 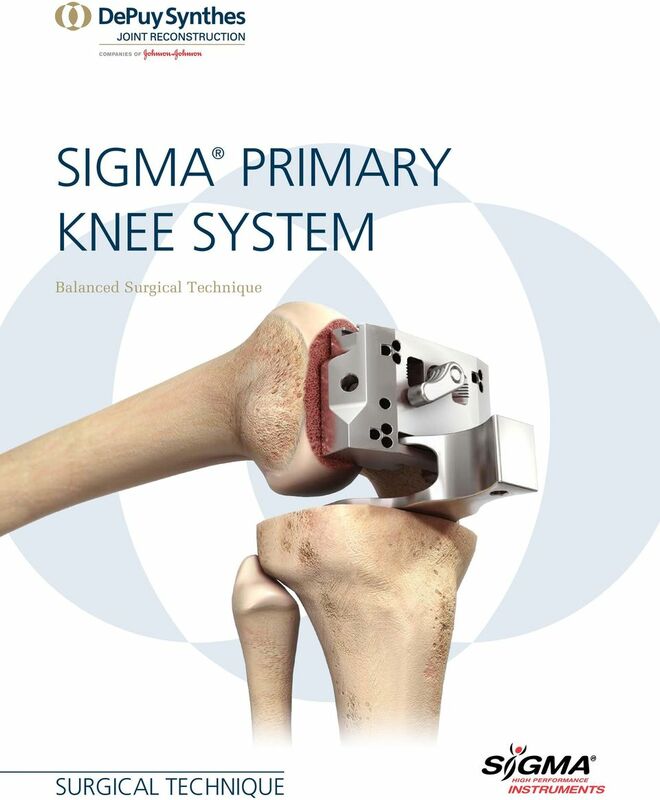 Download "PRIMARY KNEE SYSTEM SIGMA SURGICAL TECHNIQUE. 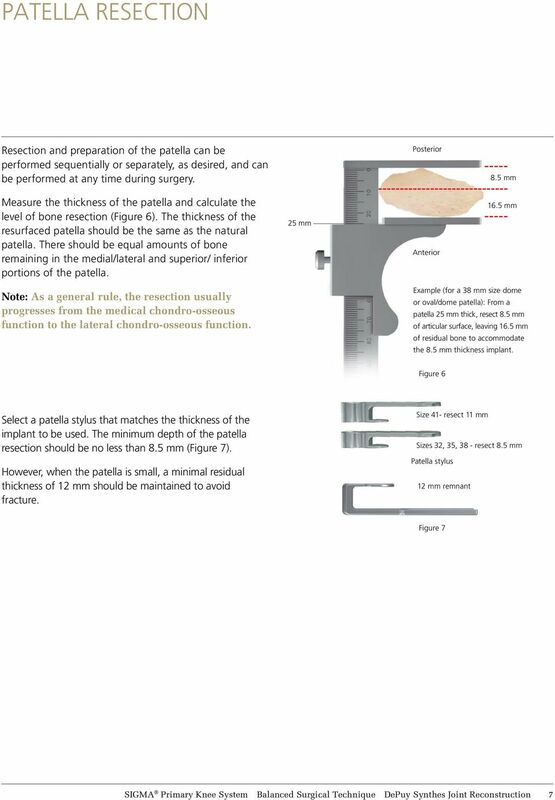 Balanced Surgical Technique INSTRUMENTS"
2 Contemporary total knee arthoplasty demands high performance instrumentation that provides enhanced efficiency, precision and flexibility. 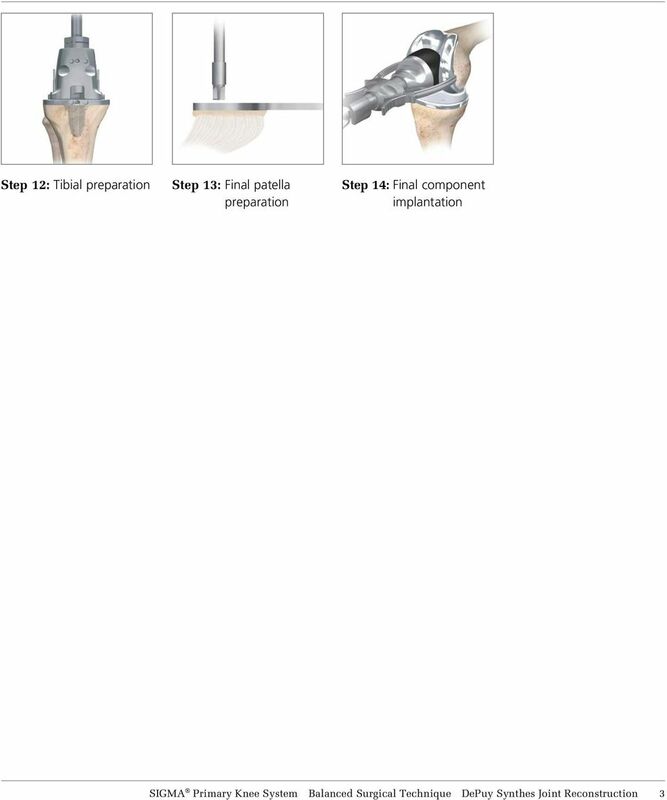 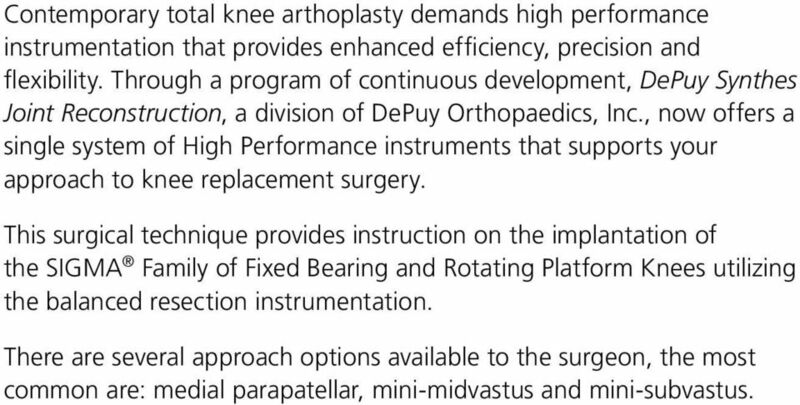 Through a program of continuous development, DePuy Synthes Joint Reconstruction, a division of DePuy Orthopaedics, Inc., now offers a single system of High Performance instruments that supports your approach to knee replacement surgery. 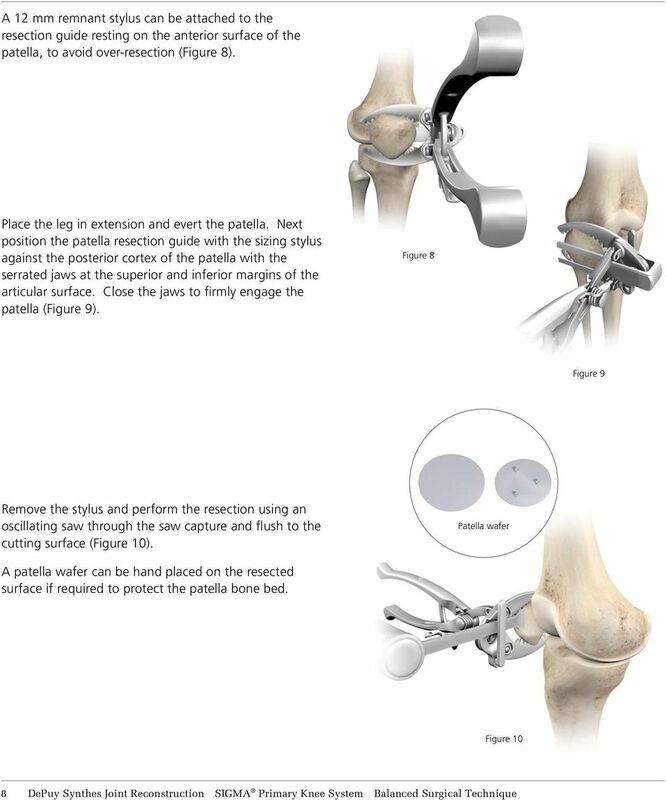 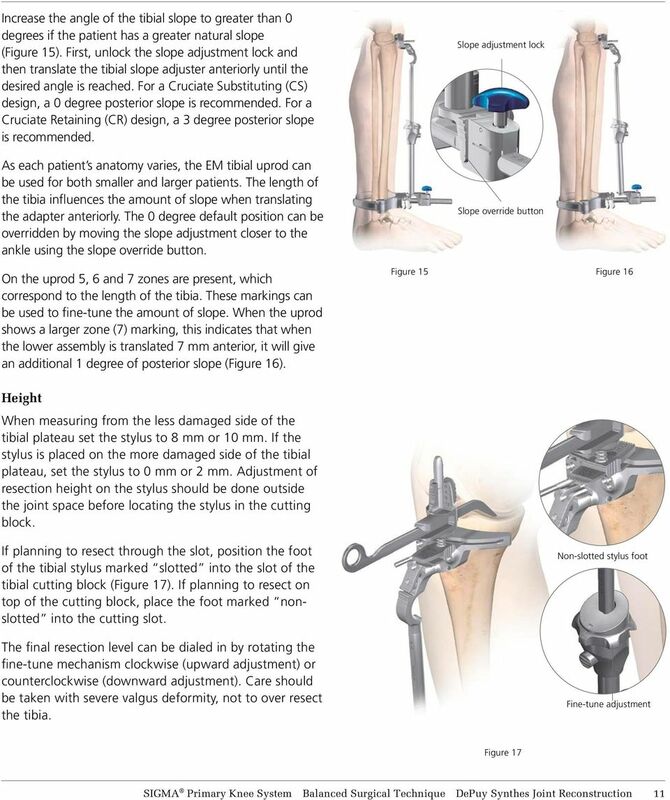 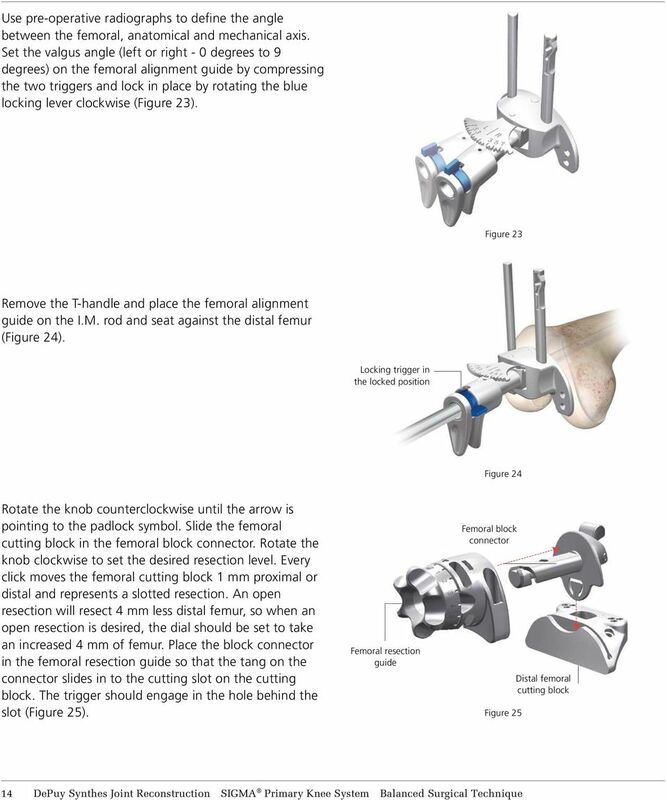 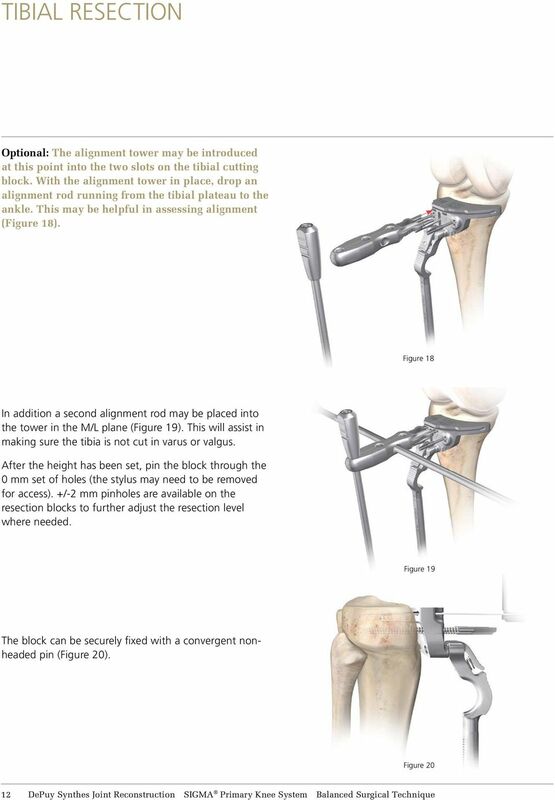 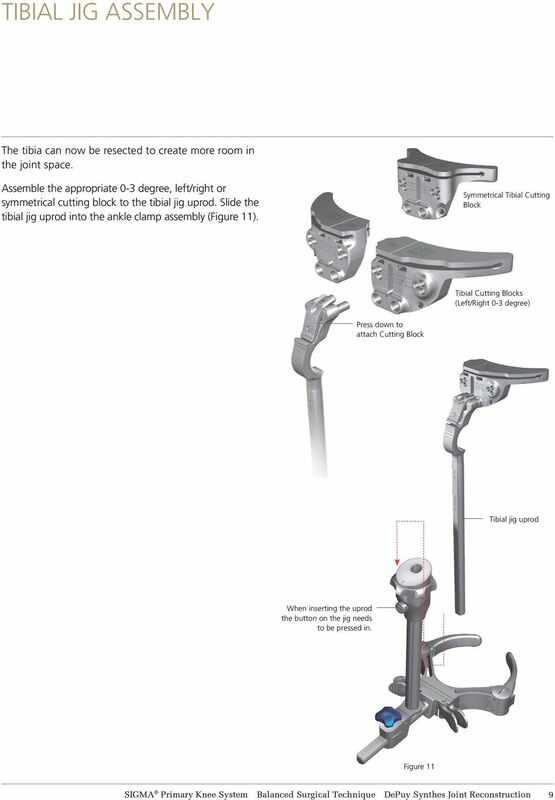 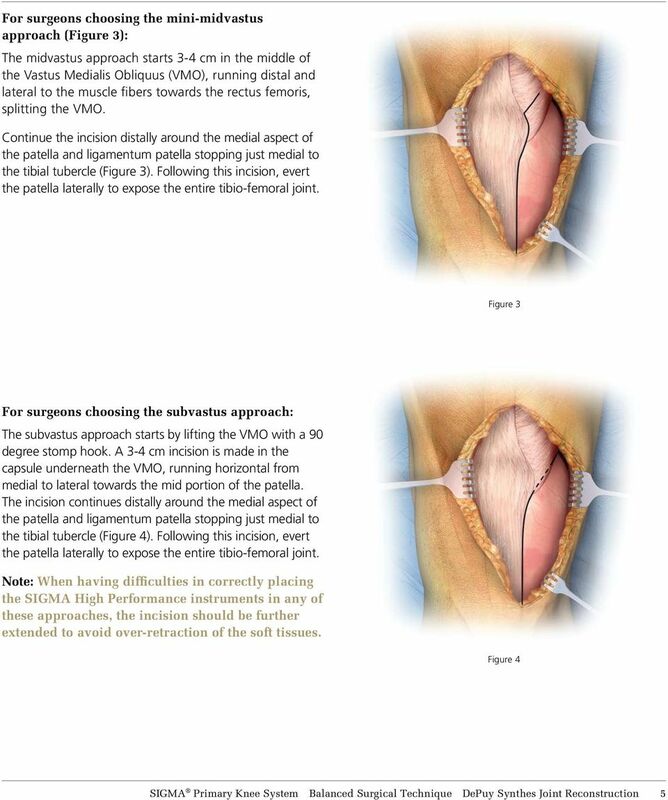 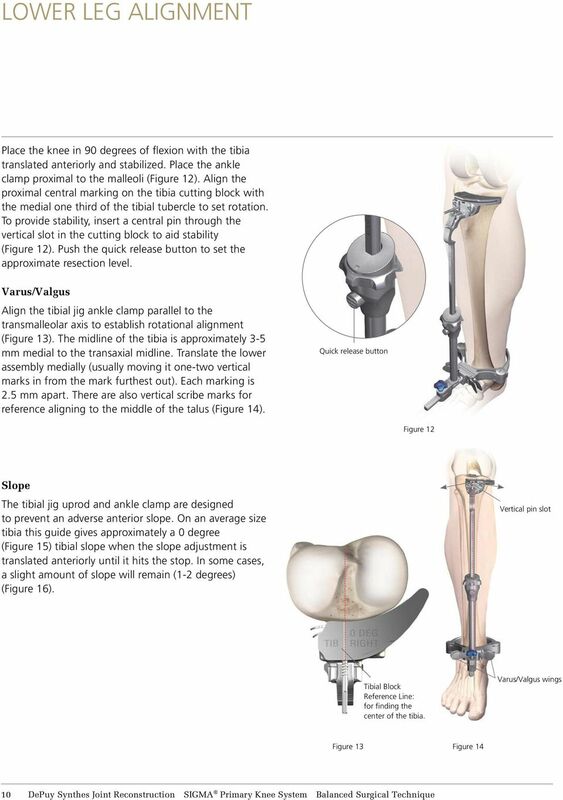 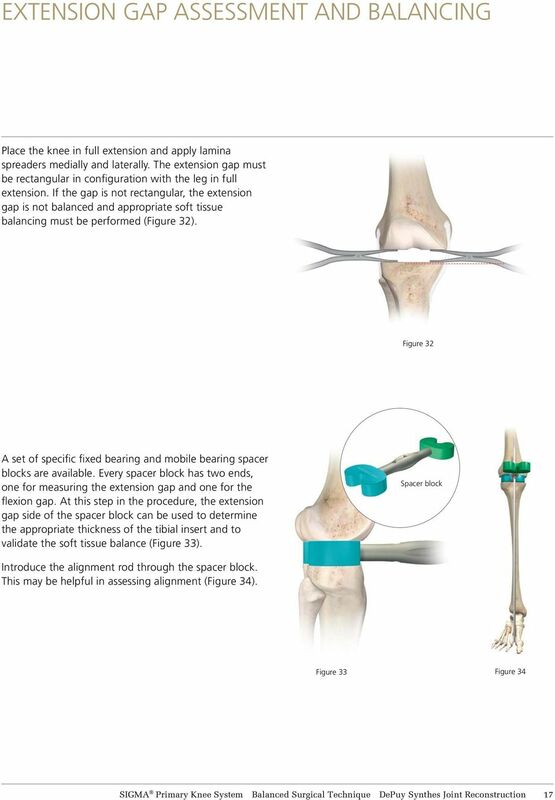 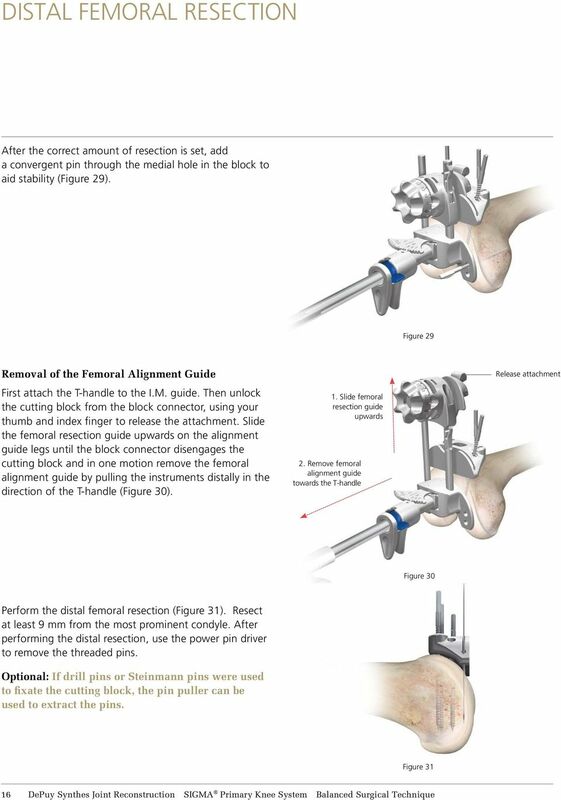 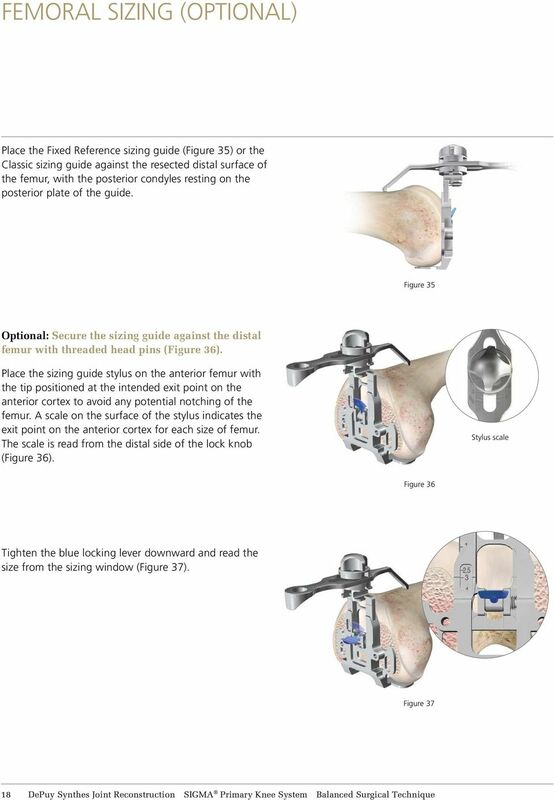 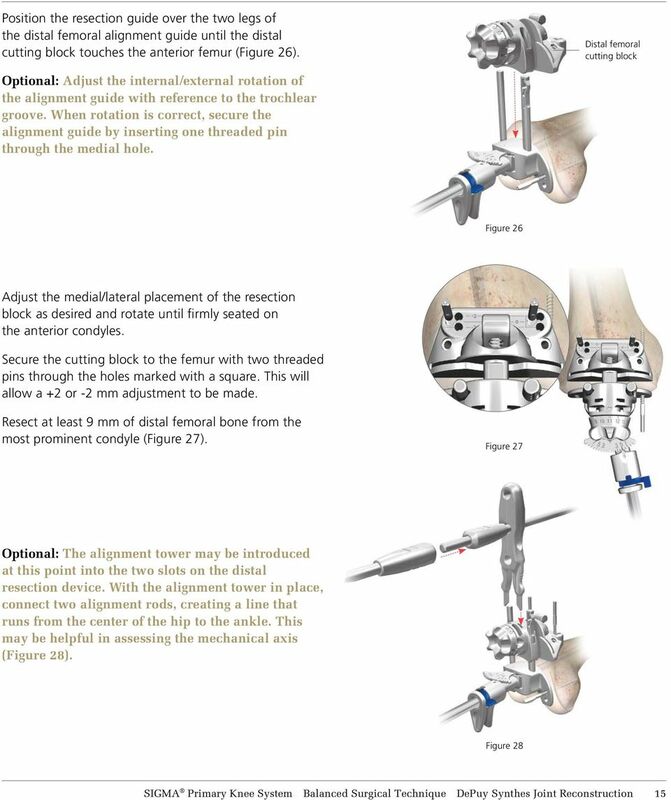 This surgical technique provides instruction on the implantation of the SIGMA Family of Fixed Bearing and Rotating Platform Knees utilizing the balanced resection instrumentation. 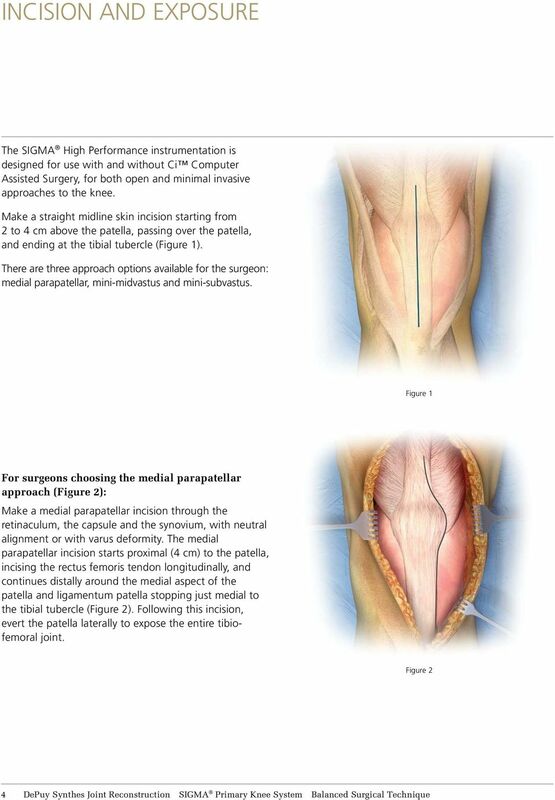 There are several approach options available to the surgeon, the most common are: medial parapatellar, mini-midvastus and mini-subvastus.